China's business has been going strong in the past decades, enjoying double-digit growth in the past 30 years. As the world's largest economy, it is a very attractive location for business expansion. Shanghai especially, as the country's biggest city and global financial hub is getting much attention from businesses all around. 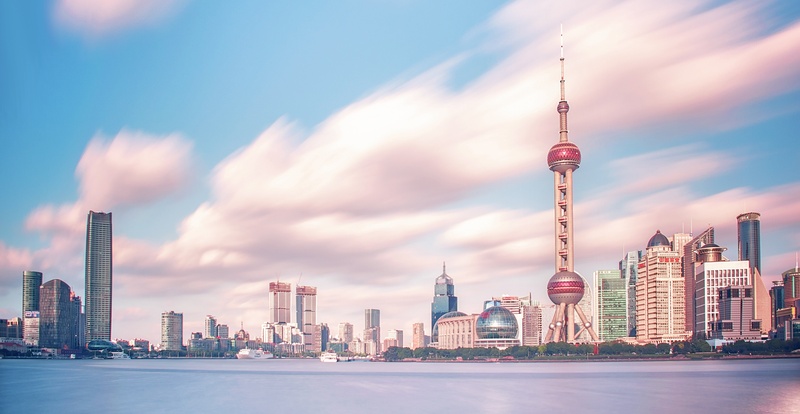 To help companies prepare themselves for business, Links created a legislative page of the main employment laws and best practices in Shanghai. Please note that all the information listed below are to be used as a general guideline, for more detailed accounts of laws and regulations, please visit the official governmental websites. Company registration is required for any person/ company conducting business in China. A branch office of a foreign company must also register with the Administration of Commerce and Industry. New set up enterprise receives the business license as a legal person and other organization unified social credit code (referred as the “unified code”) from the Administration of Commerce and Industry, does not need tax registration, and no longer required to apply tax registration certificate from October 2015. After the completion of the supplementary information collection, the business license with uniform code can be used instead of the tax registration certificate. This can be done once registration has been completed. Requirement varies between different banks. In China, full-time employees are compulsory to submit Social Contribution, the specific insurance are pension insurance, medical insurance, unemployment insurance which are submitted by employer and employee accordingly and work-related injury insurance and maternity insurance which are submitted by employer only. The amount of social insurance is based on their average monthly income of last year. The rate of contribution differs in each city. Security Fund of wages arrears will be charged once a year. Each Legal Entity receives the notice in every October. As a general rule, any person other than those having the right of abode or land in China, must obtain a visa/permit before coming to China for the purpose of taking up employment. Once all required documents have been submitted to the Immigration Department, it takes about four weeks to process the visa application. The authorities in Shanghai adjust the statutory minimum wage in each April. Since 1st April 2018, wages for full-time workers will be raised to RMB 2,420 per month, while wages for part-time employees will be raised to RMB 21 per hour. The Employer shall practice a working hour system under which labourers shall work for no more than eight hours a day and no more than 44 hours a week on average. An employer shall ensure each employee to have at least one day off for a week. Employees who have worked over one year, he / she shall entitle the annual leave with pay. The accumulated work age of the employee which is less than 10 years, the annual leave is 5 days; more than 10 years and less than 20 years, the annual leave is 10 days, more than 20 years, the annual leave is 15 days. Employees employed under a continuous contract are entitled to not less than one rest day for a week. The employer terminate the labor contract with the employee or the labor contract completed and employer not renew. The employer should pay the severance payment to the employee. Employers are not obligated to provide employees with additional medical insurance and additional housing fund. It’s a choice for companies to provide these as benefits to their employee. Upon hiring new employee(s), the employer must report the personal details of the new employee(s), date of commencement and the terms of employment to the staffing agency within one month of the commencement date. China generally stipulates that all persons are equal before the law and the law shall prohibit any discrimination on any ground. This principle is materialized through the enactment of the following ordinances: Labourers shall not be discriminated against in employment, regardless of their ethnic community, race, gender, or religious belief. Female employees meet the Population and Planned Parenthood Statute of Shanghai City are eligible for 128 days maternity leave and get birth allowance paid monthly and medical benefits from social Insurance centre. In accordance with the laws and regulations, a new father shall enjoy the paternity leave for 10 days, the salary of the spouse during the leave period shall be paid according to his normal attendance. In terms of the provisions of Shanghai, during the first year in the company, the medical treatment period shall be 3 months. After each year of work, the medical period is increased by one month, but no more than 24 months. Continuous working age of 8 years and above, 100%. 1st January to 31st December of each year. Individual income from wages and salaries shall be taxed at progressive rates ranging from 3 percent to 45 percent of which the tax threshold is 3500 RMB (4800 RMB for foreigners). Social insurance and housing fund amount and some other items stipulated by the law are tax-free income. Employer withhold the tax and arrange the payment to authority. Employees earning more than 120, 000 RMB annually need to report their income directly to the tax authorities during March of each year. Employer complete the monthly submission. The employee can get the record via government’s website. The method used for wage payment is autopay or cash normally. The majority of Chinese employees are paid on a monthly basis. For each pay period, employees will be paid the basic salary, allowances, bonus, commission, overtime, other ad hoc payments as required. Although not required by law, it is common practice for employers in China to give employees a bonus at the end of the year. The bonus amount is determined by the company. Alternatively, companies provide employees with a 13-month salary. The work must stopped once temperature over 40℃; Over 37℃, lower than 40℃, the working hour should be within 6hours; The employee entitle to get the high temperature allowance from June to September. Working Hours: 09:00-12:00 a.m. 13:00-16:00 p.m.